Gelatin, Vegetable Glycerin., Contains <2% of: Corn Oil, Mixed Natural Tocopherols, Natural Caramel Color, Purified Water. 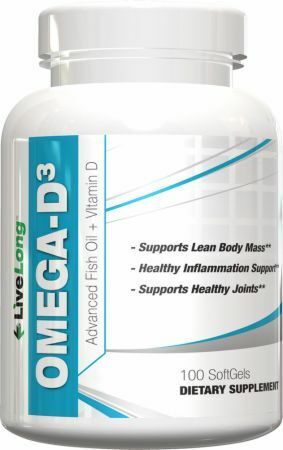 As a dietary supplement, take 1 serving three times daily, or as directed by your physician. KEEP OUT OF REACH OF CHILDREN. Do not use this product if you have or have a family history of liver, kidney or prostate disease or endocrine conditions. This product should be used in conjunction with proper diet and exercise. You should consult your physician before beginning any exercise program. If you have any other medical condition or are taking prescription drugs, consult with your physician before using this product.